Launching on January 6 at Macworld Expo in San Fran. Apparently. January is always an exciting time in the world of consumer technology, what with CES in Las Vegas and Macworld Expo in San Francisco and a veritable brace of product launches and upgrades to keep tech-fiends more than happy through the cold winter months. And, with the annual shows, come the annual rumours of what is/might/could happen with the big brands. Numerous Apple rumours, in particular, are flying around the internet right now. Some of these Apple rumours are quite believable, like the rumoured upgrade to the iMac and the Mac Mini. Some (the best ones) are utterly beyond the pale, like the suggestion that Steve Jobs is going to make a surprise appearance to announce an Apple MacBook Air Nano. (Much as we would like that to be true!). 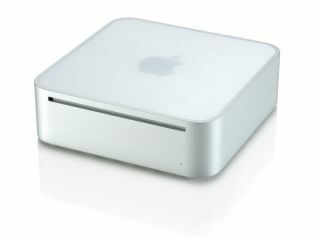 Wired.com reports that a new Mac Mini is coming, to be announced at the Macworld Expo in San Fran on 6 January, noting that MacRumors' Arnold Kim has evidence of a new Mac Mini and new iMac – set to ship with NVidia chipsets. And while badly Photoshopped pics and rumoured specs of the new Apple devices start to do the rounds in the blogosphere, TechRadar looks forward to hearing all about the new Mac Mini and lots more exciting Apple announcements straight from the horse's mouth on January 6, where our team will be on hand to bring you all the latest Apple news directly from the Macworld Expo.